Statutory Maternity Pay Survival | Then there were three..
At some point during your pregnancy you will leave your workplace to start preparing for your new arrival. Being pregnant can be stressful enough as it is, but adding in the worry of managing your finances whilst on maternity leave doesn't help. Quite a lot of workplaces now have their own maternity policies in place which provide their employees with better payment benefits whilst they are off work with their little ones. However, a lot of women, myself included, do not get the benefit of a full wage for a few months and are only entitled to Statutory Maternity Pay. SMP is currently worked out over a 39 week period; 6 weeks at 90 per cent of your weekly earnings before tax, then the remaining 33 weeks at £140.98 a week, or 90 per cent of your weekly earnings; whichever is lower. I was sat looking at my payslip recently and realised that I would have been in a better financial position if I had signed myself off on long term sickness after having Florrie rather than taking maternity leave. How awful is that?! On average, I am losing almost half of my pay each month, purely because I gave birth and choose to take time off to look after my daughter. My husband and I sat down one evening to work out all of our outgoings and budgets. We worked out that after all of my outgoings, I have roughly £40 a week to live off; that has to cover my fuel, last minute groceries and activities for Aoife, such as soft play. That final amount also includes my monthly child benefit. If I was on sick leave, I would be taking home a good few hundred pounds more a month extra for at least six months. When it was all written down on paper, I could see why so many women don't take their full years entitlement off work; it's not because they want to leave their babies and go back to work, it's because in most cases, they need to. I am very lucky that our actual household outgoings such as the mortgage, gas etc are a low enough amount for my husband to pay for. However, Aoife's nursery fees, car tax and insurance, along with my own personal direct debits are still up to me to pay for. I dread to think how I would ever have been able to cope if Marty was out of work or if I was a single parent. Currently I am due to go back to work mid June, however I am seriously considering going back a couple of months early. I am entitled to 10 Keep In Touch days which I get paid for; so far I have used 3 of these so will need to schedule the remaining 7 appropriately. I would like to say that all my worries will disappear when I go back to work, but, if all goes to plan, this will be short lived. After a lot of deliberating over the last couple of years, I have finally decided that later this year I will be taking the plunge to apply to go back to university to study Midwifery in September 2019. The degree itself is very competitive to get onto and it may take me years, but I already have the required qualifications for it, all I need to do is apply and sell myself. The course will be for 3 years and it will be highly likely that eventually I will have to leave my job once the workload ramps up or if they are not able to provide me with the working hours that I need. 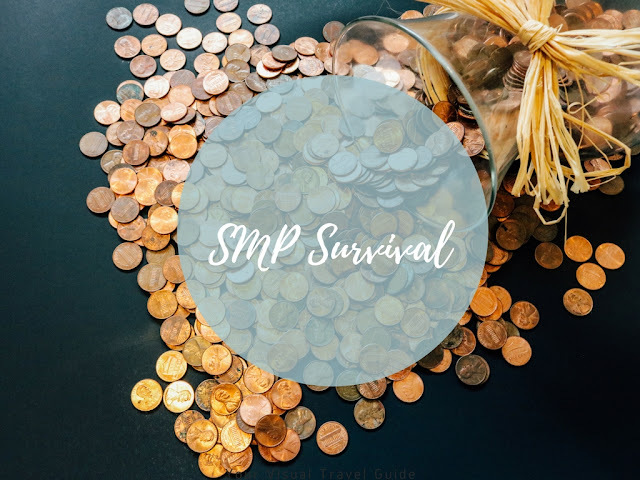 I recently asked a few bloggers for their best budgeting tips in order to survive on your SMP. Hayley from Winging it With Two Boys - "Meal planning really helped us - and sticking as much as we could to our shopping list!" 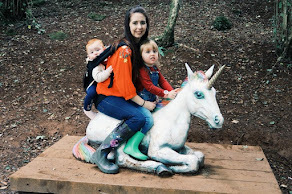 Nicola from Mummy to Dex - "Budget and save save save! When I found out I was pregnant I wrote a budget detailing every single outgoing from rent to council tax to grocery shopping. I then worked out how much I’d need to contribute from my wages and it worked out at about £1000 a month. I was on SMP or nil pay for just over 5 months so I saved 5.5k while I was pregnant and those first few months on full pay." Sarah from Boo Roo and Tigger Too - "Purchase the bulk of baby related items whilst you are still at work. So stockpiling baby wipes, nappies, plain baby vests and sleepsuits in the different ages. This will save you money on your weekly shopping whilst on SMP." Jade at Thrifty Yorkshire Mum - "Learning to say no to things! Be honest with your friends, most people are in the same situation and would prefer a cheap play date at home that an expensive trip to the local farm." Laura at Autumn's Mummy - "If you're planning on trying to get pregnant in a year or two, try to save up a little money nest before you conceive and continue saving even when you are pregnant. That was what helped me survive SMP...although I have to admit I didn't budget as well as I should have." I would love to hear your tips for surviving on SMP! It's hard isn't it? I was fortunate to get a good maternity package through work so I was able to take the full 12 months. Brilliant advice here. First time round I had to go back after 9 months which was so upsetting. Luckily the other half earns quite a bit more now and it means that I can earn a lot less so I quit after my second maternity leave and now work from home around the kids. I had SMP both times so it really taught as how to budget and survive on it. And if we could survive on that, we could be without me working full time! To My Friends Without Children. Surrogacy Sunday: How Do I Match? Surrogacy Sunday: What is Surrogacy? Hopefully a Boy Next Time?